If you are traveling to India, you must travel to Bangalore, one of its most beautiful cities with weather to match. Bangalore is a city of parks and gardens, ancient temples and modern shopping malls. It is a vibrant and pulsating metropolis where the contemporary and the heritage blend into a seamless whole. Bangalore is the Capital of the southern Indian state of Karnataka. Getting to Bangalore is easy and economical. If you happen to be in Delhi, the Capital of India, you can easily book cheap flights for Delhi to Bangalore.A flight from Delhi to Bangalore typically takes approximately two and a half hour. Once in Bangalore there are many sights and experiences awaiting you. If you are traveling with kids, there are many places where one can head to. Places that offer fun, entertainment, and learning too. Here are four places in Bangalore to head to with kids. The Wonderla Amusement Park which is situated on the outskirts of Bangalore is a thrilling experience for kids and adults alike. 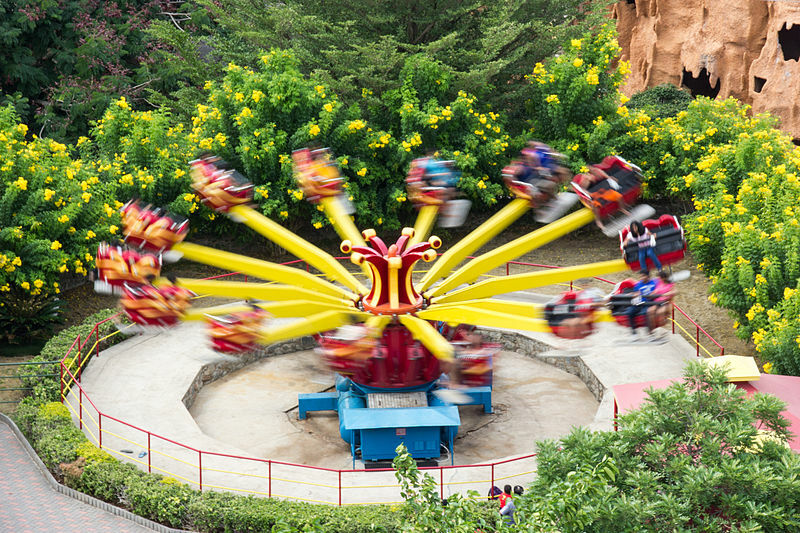 The sixty plus rides in the amusement parks are sure to set the kids roaring in delight. Some of the high thrill rides offer a pulsating experience to adults too. A combination of land rides and water rides guarantee a day filled with fun and laughter for the entire family. State of the art rides that combine the fascinating world of 3D-animation with the raw physical excitement of rides are sure to awe you. These experiences include, “The Adventures of Chikku”, which you see in the comfort of an air-conditioned theatre but are sure to be literally swept off your feet.A musical fountain and laser show also is an enchanting display that combines the elements of technology with aesthetics. Roller Coaster rides, Crazy Cars, giant sky wheels and much more contribute to the making of great times. Once you are done with the land slides the call of the water becomes irresistible. Water slides from varying heights and with twists and twirls guaranteed a splashy and wet experience. Those who prefer to relax in the water can simply laze while drifting on a float in the Lazy river. A wave pool and play pools only add to the magic of frolicking in the water. If you also want to shake a leg to some pulsating music, just head over to the Rain Disco, wet clothes and all for a rocking time. All the exciting activity is sure to leave the kids hungry and tired. A food court in the Park serves lip smacking multi-cuisine fare. A luxury resort right adjacent to the Park is a convenient place to stay and relax before or after the activity at the Park. Just remember to plan ahead with fancier dinner reservations, as similar to taking your kid’s to Disneyland, the park is full with people! The Innovative Film City is an amusement Park and a Film Studio and its sprawling campus offers a day packed with fun and adventure for the entire family. The attractions that will make the kids jump in glee include a Cartoon City, Aqua Kingdom, Dino Park which features giant sized Dinosaur replicas that come to life through animatronics, a haunted mansion the will scare the wits out of kids and adults alike, and a maze of mirrors which are sure to put your mind in a tizzy. Once you have had your fill of these attractions it is time to head over to the museums which open a window to some incredible experiences. The museums include a wax museum on the lines of Madame Tussauds where you can see celebrities immortalized in wax. Other museums include a Fossils Museum, Oddities Museum, and Tribal Museum. After the indoor museum experiences it is time to head outdoors for some thrilling adventure sports. The options include Go-Karting, Bungee Jumping, Archery, and Dirt Bike riding. 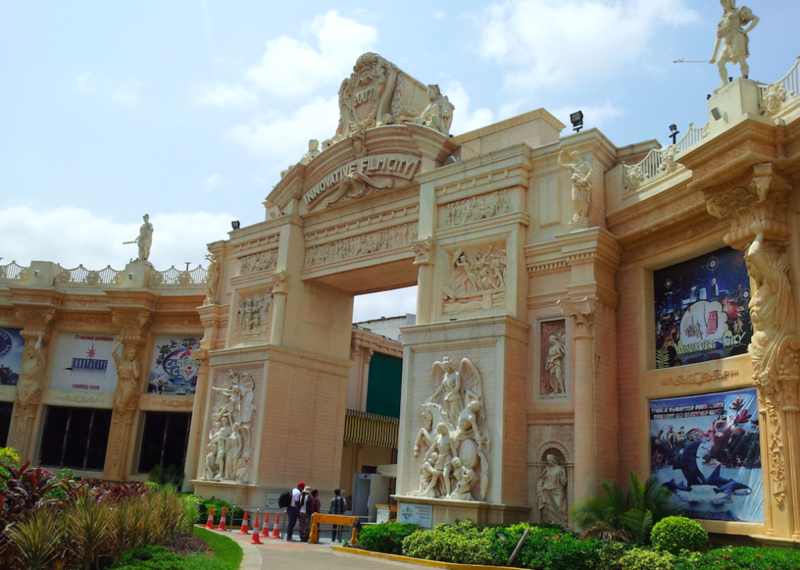 A recent addition to the list of attractions is a tour of the sets of the reality serial Bigg Boss which is situated within the Innovative Film City. Four restaurants serve diverse cuisines to cater to the voracious appetites generated by all the activity in the park. The Innovative Film city is definitely a place to head to for some wholesome family fun. A place to head to for some learning deciphering the complexities of science in a simple and fun way is the Visvesvaraya Industrial and Technological Museum, Bangalore. The Visvesvaraya Industrial and Technical Museum has seven permanent exhibition galleries which are named, Engine Hall, Fun Science, Electrotechnic, Space-Emerging Technology in the Service of Mankind, Biotechnological Revolution, BEL Hall of Electronics and Children Science. A day spent in the precincts of the museum is indeed an experience of fun and learning for children and adults alike. The principles of Science are made simple and clear through animated and interactive information kiosks, exhibits, demonstrations, and audio-visual presentations. One of the attractions where people head to with eagerness is the Dinosaur Enclave where one can take a selfie with the Spinosaurus, a species of dinosaur that lived in North Africa more than a 100 million years ago. Needless to say this is a life-size animated replica of the Spinosaurus. These are three places that guarantee hours of fun and excitement and also learning. All the places are family friendly and are ideal family getaway to head to with the kids when in Bangalore. The internet contains a wealth of information for young people entering and attending college. However, if they’re spending the bulk of their time on social media, they could easily overlook more useful digital gems. Don’t let your college kid miss the important stuff; share this list of great websites with your son or daughter. Student loans in the United States total a staggering $1.3 trillion. That means the average student in the Class of 2016 is shouldering $37,172 in loan debt. 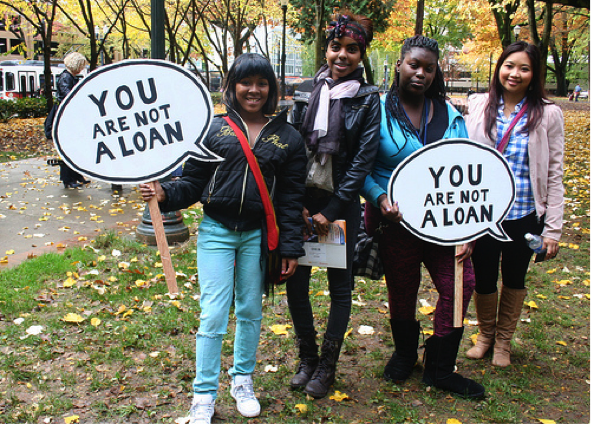 Student loans are a necessary evil for most American students, but there are ways to save. Encourage your college kid to visit Credible.com before taking out a student loan. This clever site lets users compare different student loans side-by-side to help them find the best deal. It’s free and easy to use with up-to-date information about interest rates and loan terms. A computer is an essential study tool, but it’s also a distracting piece of technology that can easily derail your college kid’s academic resolve. If your son or daughter can’t resist Candy Crush and Instagram, suggest they visit FocusMe.com. This innovative website blocks or limits access to the websites and apps users find most distracting. It also helps users create a schedule and tracks their progress towards their goals. The break reminder will help your college kid keep the right balance between work and play for maximum productivity. With so many features, it’s not surprising FocusMe.com charges a subscription fee. However, users can access a free trial to see whether it’ll work for them. Their Android app is free. Students, like your college kid, can also save 30 percent off the regular subscription rates. Website students love, like Buzzfeed and Wikipedia, simply don’t cut it when writing academic papers. Finding more credible sources can take a lot of time, especially when students are unfamiliar with the process. College kids in the know bypass the regular Google homepage and head to Scholar.Google.com instead. This clever search engine returns peer-reviewed and research-based articles from leading journals and other academic sources professors love. Creating a Google Scholar library lets your child save searches, retrieve past search results, and more. An internship is an excellent way for your college kid to gain on-the-job experience and make valuable industry connections. Hiring managers tend to look more favorably on graduates with at least one internship under their belt. Securing an internship can be challenging, but you can give your college kid an edge by suggesting a visit to internships.com. This American website currently boasts more than 5,700 internship positions based in cities across the country. There’s also an accompanying mobile app that’ll let your kid search for internships while they’re out and about. These great websites will help your son or daughter make the most of their college experience. You might not get a thank you, but rest assured, your college kid will appreciate these websites. Your child’s eyes are precious, and you should want to take steps to protect them. Considering how reliant we are on eyesight and the inconvenience that comes with poor vision, this should be a priority for all parents. In this article, we’re going to give you a few tips to protect and improve your child’s eye health and vision. Did your parents ever tell you to not sit so close to the TV or else it would hurt your eyes? It turns out there’s a measure of truth to this. A Korean study found that the more time they spend in front of computer screens and handheld devices, the more likely they are to need glasses. The theory is that the eyes start to adapt to the focal point that is most often in front of them. The solution is to have the kids outside in the sunlight in more normal circumstances for at least an hour a day. This also reduces the risk of children becoming near-sighted because of other “near work” like reading all the time. According to this article that was published on apextribune.com, older siblings have a 10% greater risk of near-sightedness while it is 20% more likely they’ll develop a severe case. This isn’t completely understood, but you should pay special attention to your first born if you want to prevent vision problems from occurring later on. Teach kids to take breaks, looking up and around instead of just at what is in front of them, whether a smart phone or print book. Stare for at least 20 seconds at something at least 20 feet away. Your child needs a regular intake of water soluble vitamins like vitamin A. Giving your children a healthy diet reduces their odds of developing diabetes as a major cause of poor eyesight issues later in life. And if your children get in the habit of eating fruits and vegetables containing lutein, there is some evidence this reduces the risk of cataracts later in life. Zinc deficiency is associated with poor vision, while eating it reduces the odds a child will develop poor night vision or macular degeneration. Eye protection is critical for sports like archery, fencing, hockey and racquetball. You should encourage your child to wear goggles when swimming to reduce the odds of both irritation from chemicals and eye infections from the faecal matter that contaminates many pools. If they’re playing paintball, full facial shields should be a must. A paintball to the eye has a high chance of causing permanent blindness. And ensure that your child wears protective face shields and guards for sports like football and baseball. A ball to the face could cause eye damage or just take out a few teeth. A healthy diet goes a long way towards protecting one’s vision. Getting into the habit of wearing protective eyewear could save your child’s vision at any point over their lifetime. And getting away from the computer screen and out into the world is good for their health in all respects. What is the Youngest Age That Ear Pinning Can Be Performed? Your child is your most precious gift and beautiful on the inside as well as the inside. You only want the best for your little one. You want your kids to be active, healthy, successful and doors of opportunities to open. You want your child to have confidence and excellent self-esteem. There is one concern that you are afraid will have an impact on your child’s self-image. It’s your little one’s ears. They stick out at the side of your child’s head in a way that is quite pronounced. You have waited since infancy to see if this condition would change in any way. Unfortunately, it is an issue that won’t go away and you can’t make any changes on your own. Even though your child’s hair has grown, it is still not enough to hide protruding ears. You want to do something to help your child. You are considering ear pinning, a form of otoplasty, that is performed by a plastic surgeon. You know this is a serious step, but you feel that it will have a positive impact on your child’s life. You don’t want your little one to go through life feeling self-conscious about large ears that are poking out in such a way that everyone will notice them. You know what peer pressure is like and how much children want to fit in with peers, especially when they get older. You want to find a solution now, but you don’t know the appropriate age for this common procedure. You’ve decided that the sooner otoplasty, or ear surgery that is cosmetic is performed, the better. 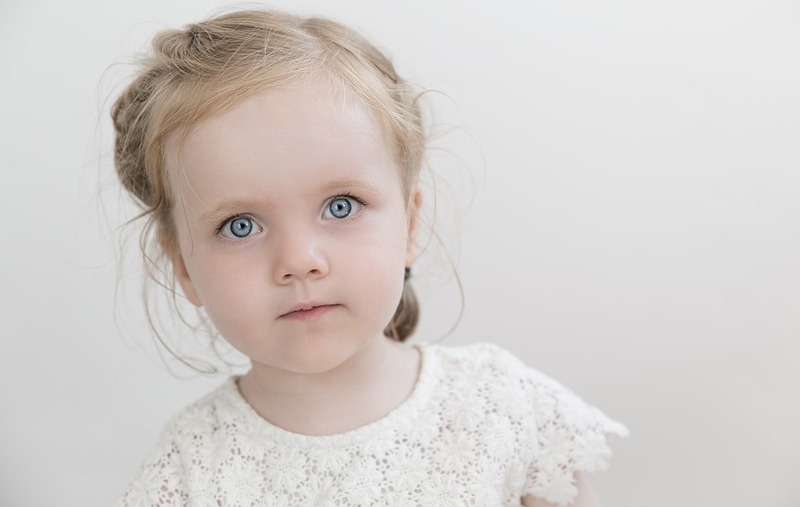 Ear pinning can be performed as early as the age of four, although some surgeons recommend waiting until the age of six to ensure that the ears have fully developed. In most cases, doctors will advise to have the procedure performed before children are of school age. However, it can be performed at any time after the age of four if your child has already passed that milestone. Ear pinning is a simple procedure that will make your child’s ears press flat against his or her head in the way that is expected. 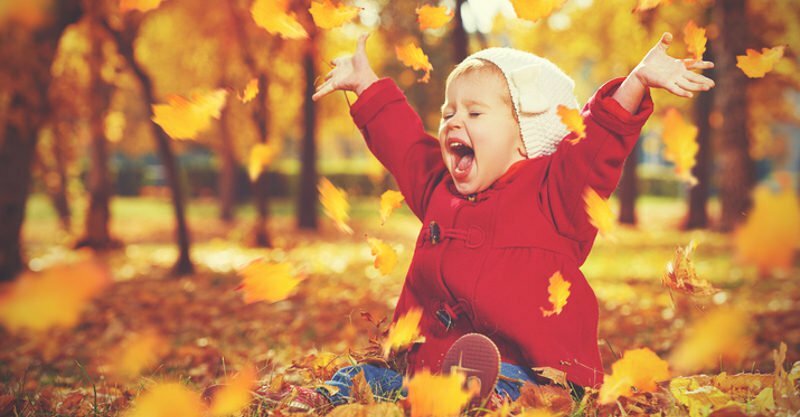 Once it is over, you will not have to worry anymore about your little one’s ears sticking out too far. What Happens During an Ear Pinning Procedure? You can expect that this procedure will be performed on an outpatient basis for your child. For young children, general anesthesia is recommended. Older patients may be able to use local anesthesia and sedation. Typically, an incision will be made in your child’s ears in such a way that scarring will not be noticeable. Behind the ear is one of the most common sites for an incision. If there is too much cartilage or an excess amount of tissue that is making your child’s ears protrude from the side of his or her head, your child’s plastic surgeon can trim away any excess and reshape the cartilage. Once the cartilage has been molded into the desired shape and the ears lay flat against your child’s head, the incisions will be closed with stitches. Your child should wear something that is comfortable on the day of surgery. Pajamas are appropriate if that is what your little one would like to wear. No food should be eaten before the procedure. Talk with your child’s plastic surgeon about scheduling early in the morning to make it easier on your child. Small sips of water are the most that your child may have before undergoing general anesthesia. Your child will be closely monitored by a surgical team while your plastic surgeon is performing the ear pinning surgery. It is a relatively minor procedure and will take a short amount of time. Once the procedure is over, your child will be sent to recovery where you will be able to wait with your child until release is possible. Once your child has been given clearance from their Otoplasty by the plastic surgeon to be released, you can take your little one home. Now the healing time begins. Your child will have bandages to protect his or her ears. Your plastic surgeon will give you instructions about how often to change the bandages. You can expect to apply an antibiotic ointment to protect the incisions from infection. You will also be given instructions for cleaning the incisions. Your child will need to sleep in a slightly elevated position. You can prop up pillows to make your little one comfortable. It is important to rest in the week that follows surgery. Your child will not be able to do anything that is extremely active at this time. Expect to go back to the plastic surgeon for a follow-up appointment one week after the procedure. At this point, your child’s ears will be checked for any signs of infection or any other concerns. Stitches can be removed if this is necessary. As long as there are no complications, your child should be able to return to normal activities. The final results will be noticeable for everyone. Any swelling will have gone down, allowing your child to enjoy ears that are flat against his or her head. Your child will have a boost of confidence every time he or she looks at the results of ear pinning surgery. If you are serious about ear pinning for your child, you need to seek advice from an expert in cosmetic procedures involving the ears. Call Dr. Anurag Agarwal, MD to find out if your child is a good candidate for this procedure. Dr. Agarwal of the Aesthetic Surgery Center is a board certified plastic surgeon with years of experience in performing otoplasty, surgical and nonsurgical cosmetic treatments in Naples, FL. When you have children, one of your responsibilities will be to have all their friends over to wreck your house, scream for three hours and leave half-eaten food everywhere. It is called having a party and is an inescapable duty for all parents. 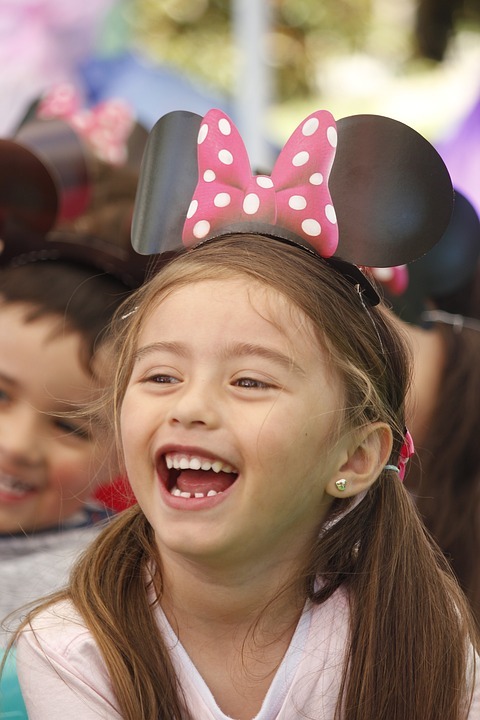 To preserve your sanity and keep your blood pressure under control, it’s worth looking at ways to reduce the stress involved and give your child a party they will love without adding to your grey hairs. When they are in kindergarten or just starting school, children usually want to invite their whole class over, and that can be a lot of little people running around your house. As they get older, they will probably be happy to have fewer guests and stick to their close friends, so it does get easier! If you are faced with a long list of potential guests, you might want to consider hiring a suitable venue for the party instead of having it at home. If the party is in the warmer months of the year, putting up a gazebo or large tent outside and letting the kids play in the backyard is a good way of keeping the worst of the chaos out of the house. Parents often feel obliged to make mountains of sandwiches and finger food for the party guests and spend hours preparing a lavish feast. The trouble is, kids are usually too excited about playing, presents and cake to eat much, so your efforts will go to waste. Keep the catering simple and don’t go overboard, you don’t need to, and none of the kids will notice. A pizza party is nice and simple, just cook up a batch of different pizzas, slice them up and let the kids help themselves. If you need more, it won’t take long to cook a few extra, and if they don’t eat it all at once, they can come back later for a cold snack. Pocket Change Gourmet has a quick and simple recipe for a delicious vegetable dip, which with a selection of vegetable sticks, pretzels or cheese straws, will add a touch of variety and impress the other parents. For dessert, you could follow the theme and have fruit pizzas. If you can afford a children’s entertainer, it’s a great way to keep the kids happy and occupied and stop them bugging you. If that’s not an option, try and get them outside for as long as possible, where they can run around and let off steam without causing too much trouble. Outdoor games, balls, a paddling pool, anything that they can all have a go at and doesn’t exclude anyone is ideal. If you are having a bunch of kids round to your house, it is never going to be calm and ordered, and there is bound to be some wailing, some crying and the odd upset. Aim to keep all your preparations as simple as possible and allow friends and other parents to lend a hand. Having those extra hands and help means less stress for you! 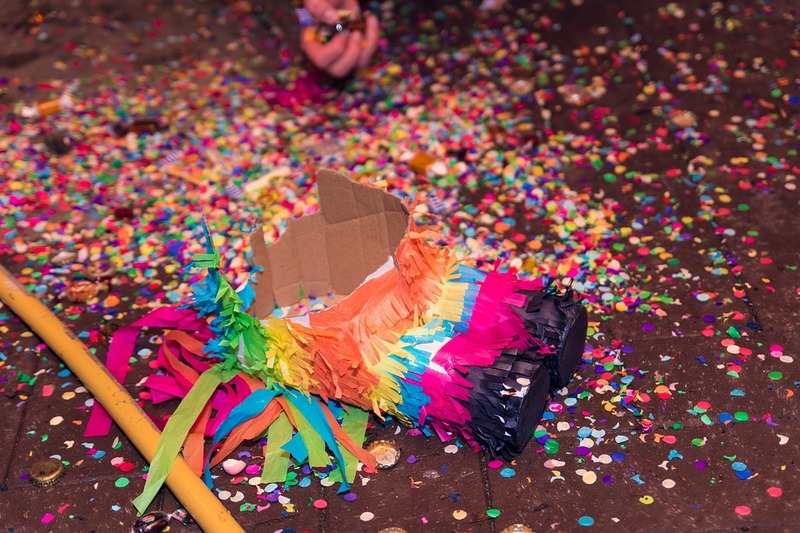 Most importantly, don’t put yourself under pressure to throw the best party ever, because kids mostly just want to play and won’t appreciate the effort you put into making lily flowers out of kiwi fruits!